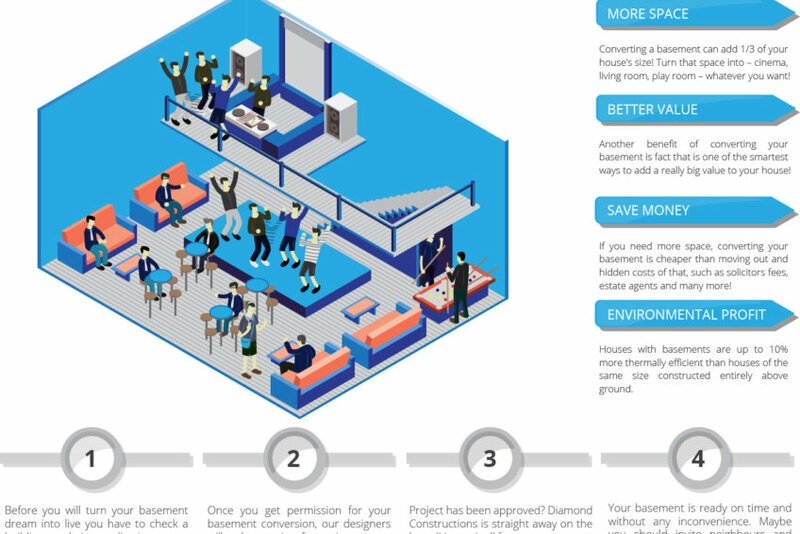 Welcome to Diamond Constructions ! 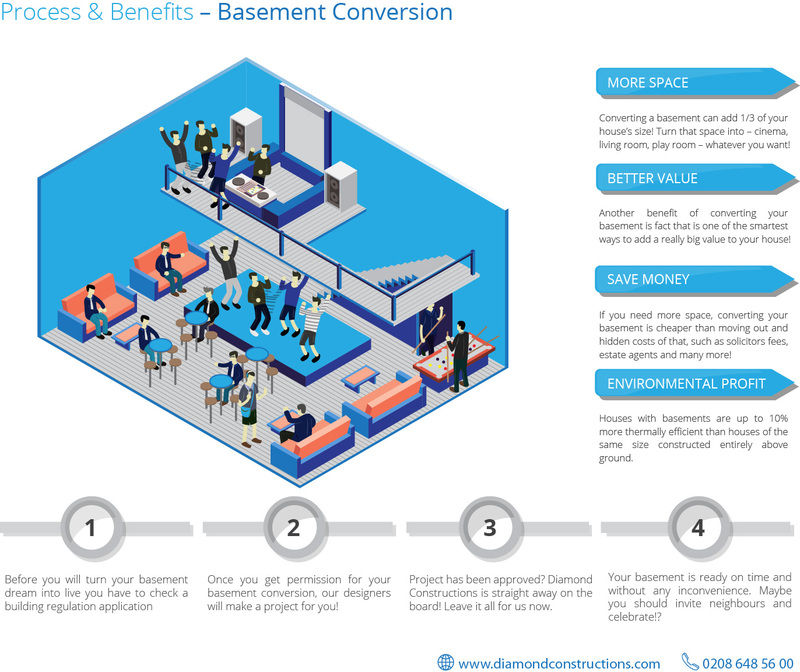 We are a team of specialists in Basement Conversions in London. Our vast experience in the field is a guarantee of high quality workmanship. We can offer totally free estimates – so you don’t have to worry ! We will come to your site – we will measure everything – we will show you our portfolio and the if you happy ( we are so sure you will be) we can plan the works. 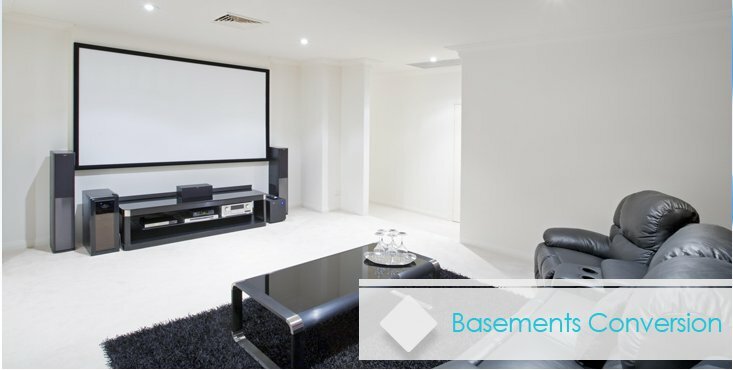 With over 40 basement done do far in London you just can’t go wrong with us. You will be also advised of every single cost and whats more we are on time every time. See our latest video here !